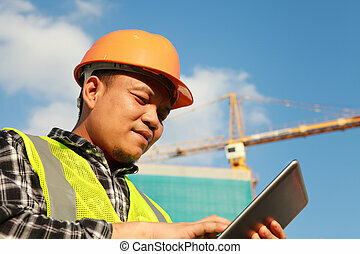 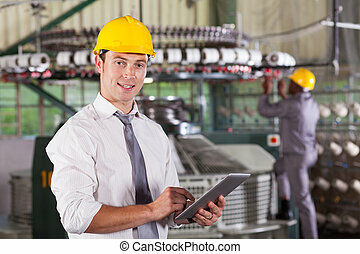 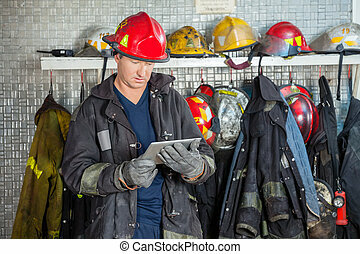 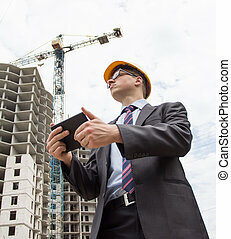 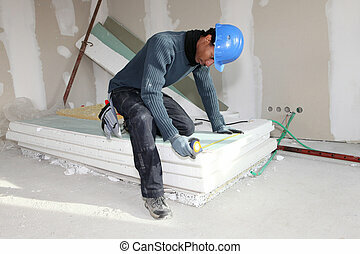 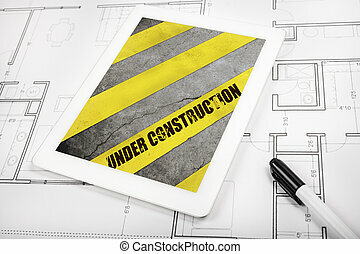 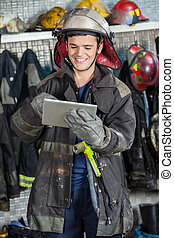 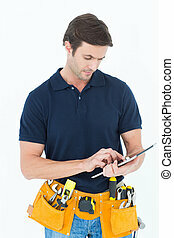 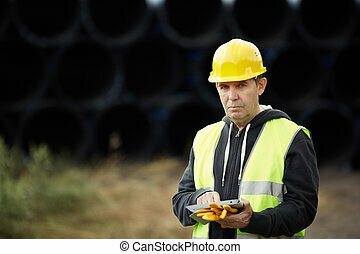 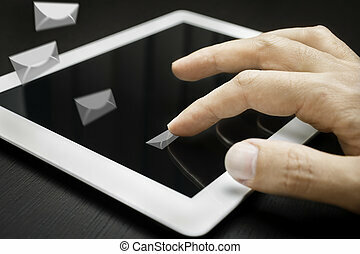 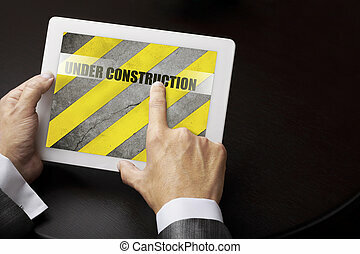 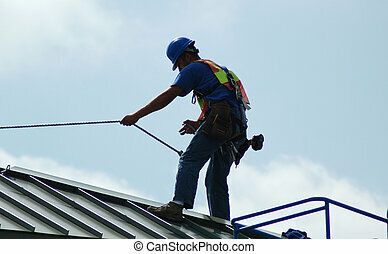 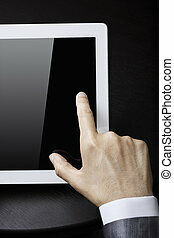 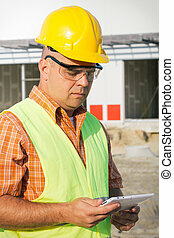 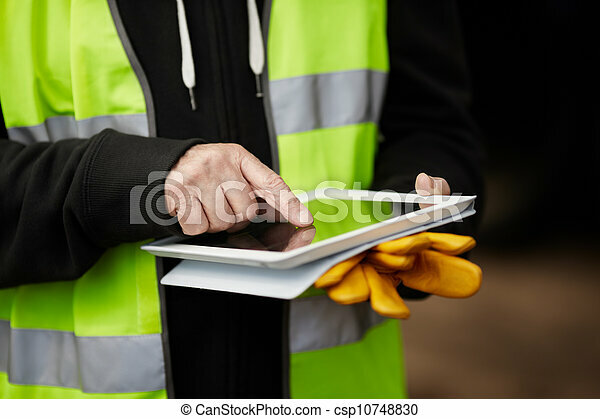 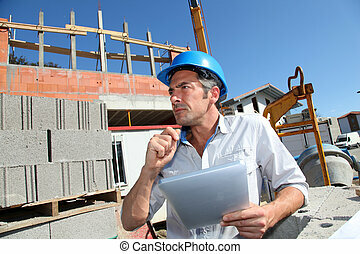 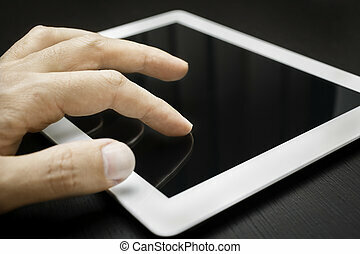 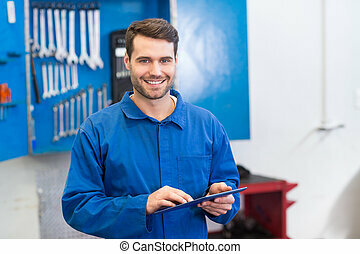 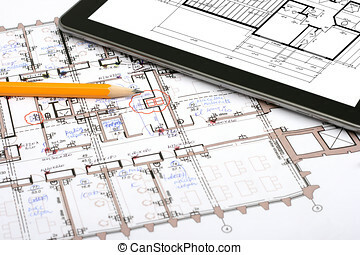 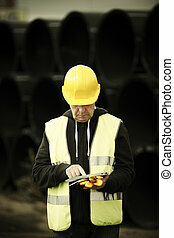 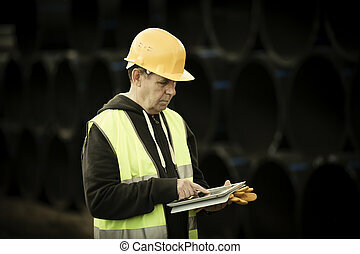 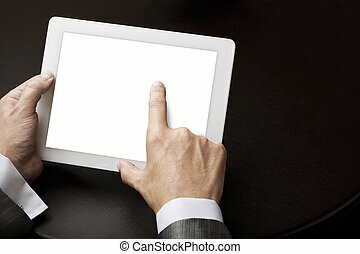 Construction worker using digital tablet. 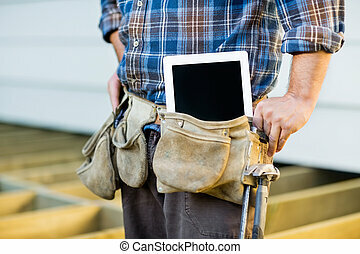 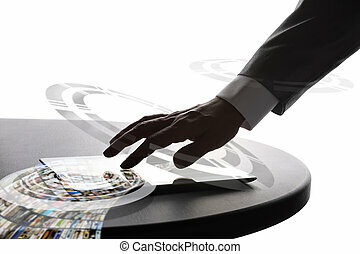 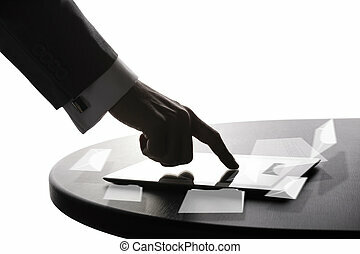 Hands of builder with small computer and gloves, selective focus on finger. 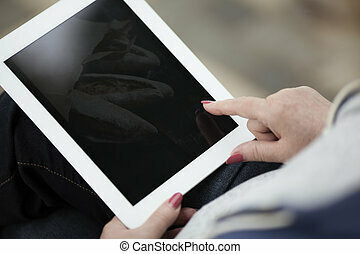 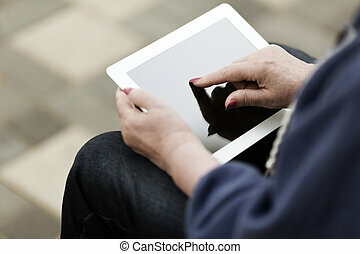 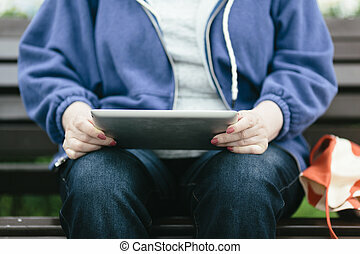 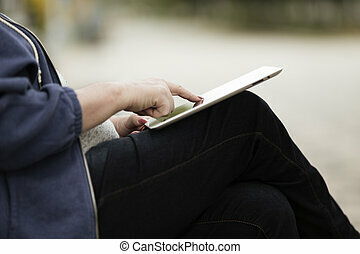 real woman with tablet pc on the street.